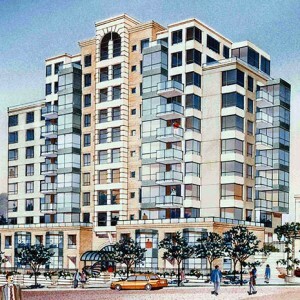 Developed in downtown New Westminster adjacent to the Skytrain station, this mixed use complex consists of three high-rise apartment buildings and a retail podium, totaling approximately 273,000 sq. ft. The sloped site enabled the apartment to have rooftop garden entrance and be separated streets below.